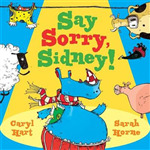 A playful rhyming tale that will delight pre-school mischief-makers by the bestselling Caryl Hart. Lashings of ginger beer and delicious food for every time of day in an irresistible children's cookbook, inspired by the stories of Enid Blyton. The first children's picture book by Danny Baker, the popular comedy writer, journalist, radio DJ and screenwriter. Enjoy the timeless appeal of the Famous Five with this fabulous full-colour treasury of short stories, extracts and more: the perfect gift for a reading adventure all year round. Meet Toto: she's no ordinary cat, and she can't wait to have an adventure with you! From one of the UK's best-loved broadcasters. The powerhouse guide to activism and politics for young people. 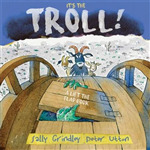 The third book in the insanely funny debut children's series from Emmy award-winning comedy writer and cartoonist Andy Riley, scriptwriter for BBC One's Gangsta Granny and The Boy in the Dress. The fourth interactive picture book and retelling of a classic fairy tale with flaps and peepholes, by the award-winning creators of the bestselling Shhh!